The most advanced microprocessor knee system just got better! 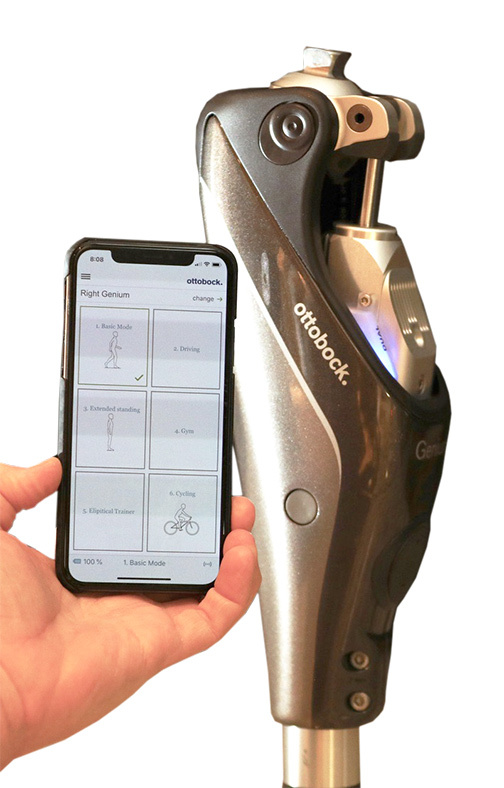 Just released, new features and updates for both knees will provide even more function and mobility enhancements to above knee prosthetic users. *Apple iOS compatibility is available with new versions of Genium and X3 only. iOS compatibility is not available with previous versions of Genium and X3. Advancements in prosthetic technology have greatly accelerated since the introduction of microprocessor control systems incorporated into prosthetic components. The original Ottobock C-Leg was introduced in the United States in 1998, offering the first microprocessor regulated hydraulic swing and stance phase yielding during the gate cycle. The consistent response and stability of computer regulated hydraulics opened up the possibility of using prosthetic limbs to people that previously were unable to successfully utilize an artificial limb. This revolutionary technology was improved when they added the ability to program a second activity mode to be used for specific activities. An underserved patient population that this technology can greatly impact are individuals with bilateral above knee limb loss. Without having a "good" leg to catch them if they stumble, microprocessor control of the hydraulic actuator, updated 100 times per second while walking, provides the consistent stability and support necessary. The C-Leg revolutionized the industry and continues to be the benchmark for prosthetic knee systems. The latest iteration is the C-Leg 4, utilizing a gyroscope and other sensors to control the electronic servo valves of the hydraulic cylinder. Using a hydraulic actuator, this knee mimics the natural movements of the human knee and provides consistent, smooth function to the prosthetic user. The knee features natural "stance flexion" with each step to help promote a more natural gait and ease of activation of the yielding of the knee when walking down ramps, stairs or stepping off of curbs. 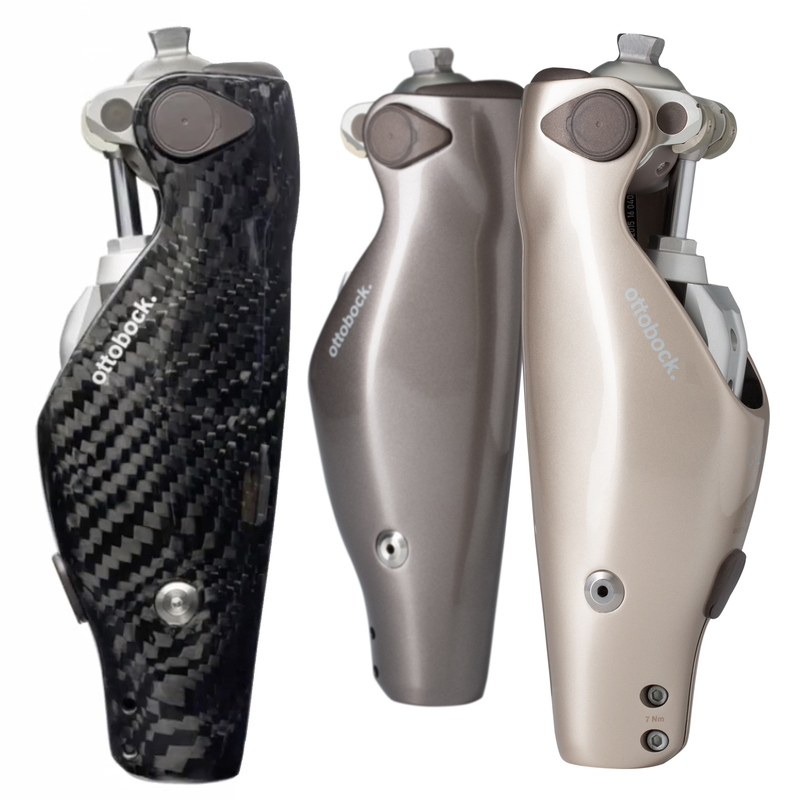 Ottobock C-Leg 4 is the third generation release of this technology. It is now "weatherproof" and can be controlled by a smartphone app to modify settings and activate different functional modes. iOS connectivity is available with units manufactured after July 2018.